Sedum niveum is a small scale and slow growing specimen, perfect for trough gardens, miniature pinch pot plantings and on rock walls where you can get a close up view to see the tiny orange tinged foliage and white starry blooms in late July. Growing barely two inches tall and four inches across, this diminutive species shows best at eye level - or under magnification. I like to group my tiny varieties and species where they won’t get over grown with some of the more assertive types; they get special pride of place and more attention than other Sedum in my collection. Grow these where they take center stage, complemented by tiny Sempervivum such as the lovely Sempervivum arachnoideum species (cobweb types) and Sedum species such as Sedum brevifolia, Sedum griffithsii and Sedum pluricaule. These are all perfectly compatible in a hypertufa pinch pot or in a group of other tiny succulents in a trough. 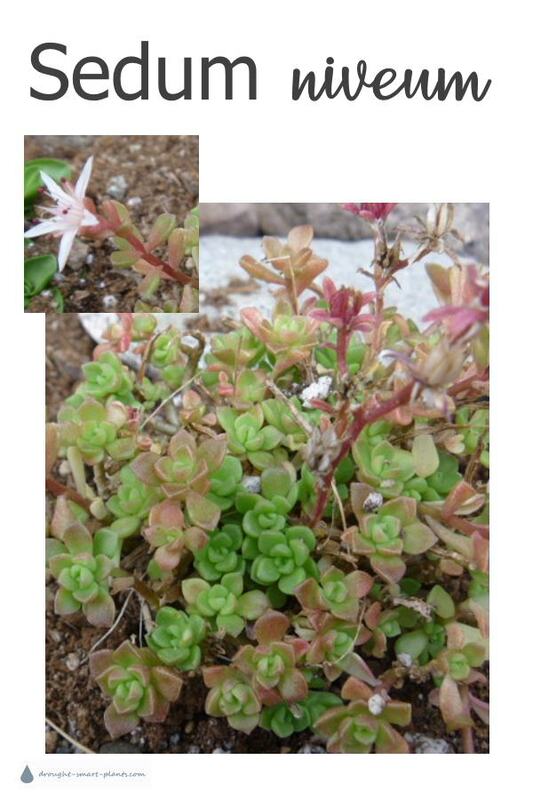 All of these Sedum species and varieties are similar with their slow growth rate and shy demeanor.